Reliance Jio has been around us for more than three months, and it has already created some incredible records with its free services. A recent report showed that the new service already crossed 50 million subscribers, the quickest by any network. In contrast, Airtel achieved this feat in 12 years. Being an LTE-only network, Jio requires 4G enabled phone to use it. However, there’s catch as well. Your phone should have support for VoLTE as well to make or receive calls, which is an annoying thing to some extent. To remove the hassle of getting a new 4G phone, Jio itself launched an app called Jio4GVoice (formerly known as JioJoin), and they quote that dialer as the tool used to make rich voice calls. And, this application works with a non-VoLTE phone as well, which is the huge advantage. Let’s take a look at what Jio4GVoice has to offer and how it can replace as your default dialer. As said earlier, Reliance Jio uses VoLTE to make voice calls. So, if you are one among the persons whose mobile doesn’t support VoLTE, then the Jio4GVoice app is exclusively designed for people like you. What is the USP of Jio4GVoice? Well, you might have an answer for this if you have read our article from the beginning. The Jio4GVoice’s USP is that it allows users of a non-VoLTE phone to make voice calls. And, it works flawlessly. HD Voice and Video Calling: Jio4GVoice allows its users to make and receive voice and video calls across the globe. However, that is only limited to 4G network. Rich Call: One of the best feature in the Jio4GVoice as it allows the callers to display images and location of your current place, which makes the calling more interactive. Urgent Call feature: Another interesting feature is ‘Urgent Call’. You can tell your urgency by pressing urgent call button in the calling interface. Messaging for SMS and Chat: Jio4GVoice is not just for voice calls, it also allows you to chat with various people in your contacts. You can share various files like zip, .pdf to your Jio4GVoice contacts. In Call Share: Calling in Jio4GVoice is lot more fun. You can send a doodle, sketch something, or share your location while in the call itself, which is a great feature to have around. Will it be a Threat to Other Messaging Apps? Not at all. With Jio4GVoice, you can only message to people who are subscribed to Jio network and using Jio4GVoice. Jio also has another app called ‘JioChat’ exclusively designed to take on the WhatsApp and other chat applications. Will Jio4GVoice Change the Traditional Voice Calling in India? 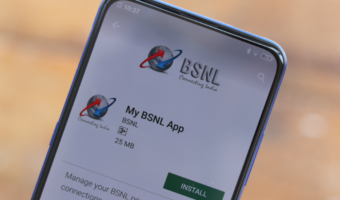 Reliance Jio introduced this application especially for users of non-VoLTE phones. One thing to note here is that if you install the application in a VoLTE supported phone, it will just redirect you the native dialer app on your phone to make a voice call. So, it’s pretty clear that this application is useless in a VoLTE phone. But, when tested the network in a phone with Jio4GVoice installed, the voice calls are pretty decent and almost equal to that of a VoLTE phone. 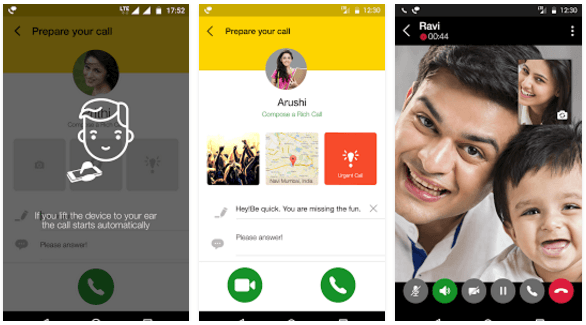 Less than a month ago, Bharti Airtel, India’s largest telecom network introduced their dialer app to take on the Jio4GVoice. And, as a part of the introductory offer, they are giving away 50 minutes of local minutes to people whoever registers in the app for the first time. Technically, Jio4GVoice is only meant for non-VoLTE phones, and you can make calls to other networks. But, the Airtel Dialer app replaces your default dialer and acts just as another dialer app. There are other dialling apps such as TrueCaller, Hola, etc., but none of them has the USP, and they just replace your default dialer app on your phone. Bhai Jio har sector me acha hai! M happy with evrythng abt Jio. It is changing traditional voice calling but in a gud way.. I can talk more in less money.. airtel can never be the rival of Jio! Jio is anytime better.. It could be a threat to msgng apps bcoz ive tried it and its better than whatsapp n all.